Data science is a team sport. Do you have the skills to be a team player? 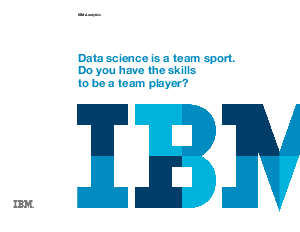 - Brand Republic > IBM > Data science is a team sport. Do you have the skills to be a team player?